"There is broad bipartisan agreement that America is at risk," declared former House Permanent Select Committee on Intelligence Chairman Pete Hoekstra via video at the March 6, 2014, National Security Action Summit (NSAS). The "silent jihad" of Muslim Brotherhood (MB) affiliated groups described by Hoekstra at National Harbor's Westin Hotel across the Potomac River from Washington, DC, should alarm all Americans. In comparison to the "violent jihad" of groups like Al Qaeda, the MB "strategy is very, very different," Hoekstra explained during the panel "The Muslim Brotherhood, the 'Civilization Jihad' and Its Enablers." MB groups "are going to use our laws, our customs…our freedom of speech, the values we profess…to become a cancer" in the United States. MB supporters would seek "initially a tolerance of sharia law" that "begins the process of establishing of Islamism," a process evident in certain European neighborhoods where sharia has become "de facto law." 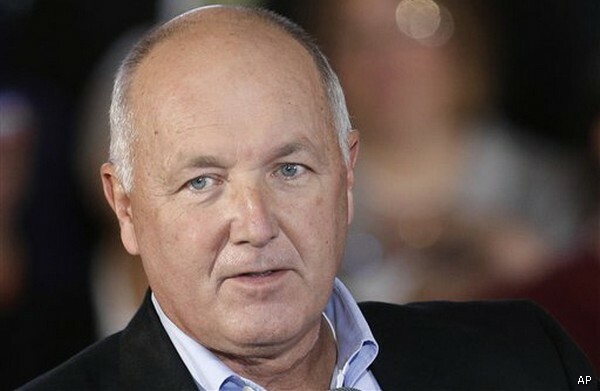 "Never forget the phrase: The enemy of my enemy is my friend," Hoekstra added when discussing cooperation across intra-Muslim sectarian divides such as between a Sunni Al Qaeda and a Shiite Islamic Republic of Iran. "They ultimately share the same objective: the destruction of the West." MB "Islamic supremacism" or Islamism "is not a fringe ideology" but is actually the "dynamic element of Islam" today, former first World Trade Center (WTC) bombing prosecutor Andrew C. McCarthy observed in his video address. Contrary to the "very Politically Correct interpretation of Islam" encountered among policymakers by McCarthy, Islamism is "not a hijacking of a doctrine" but rather Islam's "most unalloyed form." Suffering numerous maladies, the Blind Sheik Omar Abdel Rahman prosecuted by McCarthy could only lead the 1993 WTC terrorists because "he was a master of sharia doctrine." Without understanding "sharia supremacism" as a "very active ideology" according to polls of Muslims worldwide, "we will never be able to protect ourselves." "You don't know jack," sharia expert Stephen Coughlin agreed on the panel, without understanding this MB "metanarrative." "It runs deep…the threat," Coughlin noted concerning terms taken "verbatim" from the 7th century Pact of Umar recently imposed by Syrian jihadist groups upon Christians. Yet Coughlin worried that the "enemy knows us better than us" in an America whose political and religious leaders often no longer properly understand their constitution and Judeo-Christian faith, respectively. Subverting rule of law through "narrative control" is central to Islamist groups such as the Organization of Islamic Cooperation (OIC), an international grouping of 57 (including "Palestine") mostly majority-Muslim states. "If you do not control the narrative, no matter what position you take, you will lose." In particular, "he who controls the First Amendment…controls the Constitution," Coughlin warned in discussing the OIC's 2005 Ten-Year Strategic Action Plan with its call for "Combating Islamophobia" via censorship. The OIC would seek to interpret the International Covenant on Civil and Political Rights' Article 20 ban on incitement as prohibiting speech to which recipients react violently. This is the "battered wife syndrome" of "if you say that, I am going to have to beat you up"
"Under the guise of sensitive speech" and other terms, anti-sharia activist Deborah Weiss elaborated, the OIC will stifle speech critical of Islam. "Anything that is critical of Islam…will be deemed incitement" by the OIC, which "holds itself out as a moderate" but is actually an "Islamic supremacist organization." The 2005-6 Danish Muhammad cartoon riots exemplified how the OIC would attribute speech's violent consequences to speakers, not perpetrators. Discussing jihadist child murders will bring an accusation of "Islamophobia" as a "crime against humanity" from individuals like Turkish Prime Minister Recep Tayyip Erdoğan, Weiss explained at a subsequent event. The OIC also sought to encompass Islamic ideas, not just individuals, under defamation protections functioning as de facto blasphemy laws. Repeated passage of resolutions to this effect at the United Nations (UN) and elsewhere risked such a standard eventually becoming customary international law. In particular, the March 24, 2011, UN Human Rights Council Resolution 16/18 passed with American support "dropped the language of defamation of religion" but still contains problematic terms open to interpretation. The Obama Administration's "State Department has chosen to be the leader" in implementing Resolution 16/18 without any obligation, Weiss noted. Such efforts have had their effect. European prohibitions of hate speech and other forms of expression "effectively ban criticism of Islam" and "serve as proxies for blasphemy laws." "Peer pressure and shaming," meanwhile, appeared to former Secretary of State Hillary Clinton as the appropriate means for suppressing criticism of Islam in America. Removal of all mention of Islamic ideology from American government documents also entailed that "counterterrorism professionals are prevented from learning what's going on." "The language" and "training has been shut down," concurred fellow panelist John Guandolo, a former FBI agent. "We did that," Guandolo complained when discussing sharia provisions in Afghan and Iraqi constitutions written under American auspices. "Overwhelming evidence" documented a MB "movement in the United States" complementing foreign influence that seeks subversion of America "by our own hands," Guandolo stated. A 2004 Annandale, Virginia, law enforcement raid, for example, netted thousands of MB papers describing allied organizations such as the first MB American operation, the 1963-founded Muslim Students Association. Today MB dominates a majority of 2,100 American Islamic centers. The Council on American-Islamic Relations (CAIR) is merely "Hamas doing business as CAIR." CAIR hadrecently attempted to stop a seminar on MB offered by Guandolo to Virginia law enforcement officers. "If they want to shut it down that badly then I need to hear what you have to say," Culpeper, Virginia's sheriff responded to Guandolo. Weiss also drew upon her CAIR research at her subsequent appearance at the annual Conservative Political Action Conference taking place at the neighboring Gaylord Hotel. Repeated Equal Employment Opportunity Commission claims by CAIR pushed the boundaries of business religious accommodation for Muslims. CAIR has also launched several successful boycott campaigns against firms such as Nike and DKNY for products deemed offensive to Muslim sensibilities. "The enemy of my enemy is my friend" appeared to Weiss at CPAC as the rationale for leftist support of MB groups against perceived common American opponents. After all, despite claims that "Hamas and Hezbollah would never work together" across a Shiite-Sunni divide, Israel as a common foe united them. A "collectivist" affinity between Leftists and Islamists also occurred to Weiss' fellow CPAC panelist, Syrian-American anti-Islamist Muslim Zuhdi Jasser, something that made Islamists "incompatible" with conservatives. A "blind spot the size of Texas" with respect Muslim treatment of women and gays, though, resulted for the Left in overlooking MB. "Just a bunch of bull crap" in interfaith Christian-Muslim dialogue also offered opportunities for MB penetration, according to Weiss. A "bipartisan failure," however, marked deficient recognition of the MB threat in America, Guandolo argued. Prominent in the panelists' thoughts were Grover Norquist and Suhail Khan, board members of the American Conservative Union, CPAC's organizers. Norquist and Khan, the latter described by Guandolo as a "prominent jihadi," featured in a recent report detailing their past connections to MB allies produced by the Center for Security Policy, one of NSAS's organizers. "Critical national security issues…have been effectively banned from CPAC," Weiss noted at NSAC, hence the CPAC "Uninvited" description of NSAS. Khan "speaks volumes" with his silence on Jasser and other Muslims in their struggle against Islamism, Jasser declared to NSAS per video. With Khan and Norquist, "their silence becomes an enablement" of MB, "no different than the Germans who were silent during the Nazi era," Jasser stated at CPAC while decrying Khan's past denial of MB in America as "absurd." Khan's "enablers like Grover Norquist" merited challenge in the conservative movement, Jasser's NSAS video address stated. A "filtering mechanism for Islamism" appeared necessary to Jasser at CPAC in light of Khan, absent which individuals like Fort Hood jihadist shooter Nidal Hasan would go undetected. The self-proclaimed Arizona "hawk on immigration" noted that most Muslim immigrants, many of them economic migrants, "do not become by virtue of living in America Jeffersonian." Thus four mosques Jasser helped establish later became Islamist and Jasser's encounters with Muslim Congressman Keith Ellision revealed him as "clearly an Islamist." "There are not a lot of Zuhdi Jassers," Weiss bemoaned while speaking next to her "hero." "Do their rights come from God or do they come from Islam?" was one question Jasser suggested posing to Muslims as well as asking what kind of law they would support when in the majority. Such questions were necessary to find "pious Muslims on the side of liberty" and not "declare war on a quarter of the world population." To "pick sides within the House of Islam with those who are with us," Jasser's NSAS video argued, would form the "head of the spear" against Islamism. The stakes could not be higher; American freedom is an "experiment…not the norm" across human history, Weiss at NSAC warned.